While parents are not required to pay for children’s college tuition, as part of a divorce settlement a parent can agree the pay tuition, fees, housing costs, and other living expenses. Higher earning parents can be ordered to contribute to a college trust fund. Parents can agree to pay college tuition, costs & expenses in Tennessee child support laws. The primary method through which a parent can become obligated to contribute to a child’s college education is through contract (most commonly in the marital dissolution agreement) and stipulated court order. In other words, a parent must voluntarily agree to become required to make a contribution to a child’s college education. A court can’t order a parent to pay college expenses and tuition, but a court can order more affluent parents contribute to a college trust fund. The pillar of the Tennessee child support system is the “base child support” paid by the alternative residential parent to the primary residential parent for the support of a child until the age of 18 or graduation from high school (whichever occurs later). There is no provision in the Tennessee Child Support Guidelines for college or other post-secondary education. This limitation on court authority is a bright line that even restricts a court from ordering a parent to produce financial information for college financial support applications. Once the college expenses of a child are part of a legally binding contract, the courts have authority to interpret these terms, just as with any other contract. This is true even when the contract is incorporated into a final decree of divorce. Taken with this important caveat, what we see in our discussion of this topic are contracts entered into by parents before children enter college that are litigated in courtrooms some years after they were signed. It is not uncommon for parents to enter into a written contract with a provision for contribution to “college costs.” The first question that arises is to define those “costs,” whether tuition, room and board, college-sponsored health insurance, books and supplies. Contract language can and should be negotiated and written with care to define the term “college costs” from these and other, related examples. The second – and more significant – question is to define “college costs” to specify any limits. 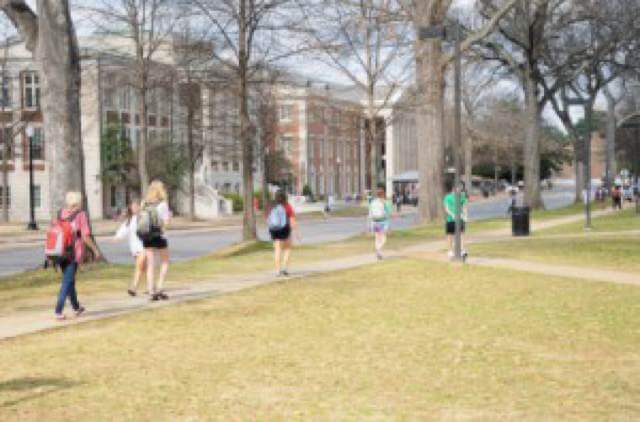 Consider, for example, the difference in cost of in-state tuition for the 2012-2013 academic year at the public college Columbia State Community College of $2,605 compared to the private college Vanderbilt University of $35,278. These tuition-only figures to not reflect all the additional charges that can be incurred, as just mentioned, above. It is important that, before signing a contract to contribute to college costs one consider one’s income, career trajectory, and anticipated assets. This suggested analysis is not unlike that which is performed by the courts, as they evaluate a parent’s current income and income at the time of signing the contract, career history, future career, and anticipated financial assets. Part of how the courts get involved in this analysis is because of the common use of the phrase “reasonable college costs.” When this phrase appears in a contract of the parents, the courts have no choice but to determine “reasonable to whom?” Courts will use a parent’s income, employment, and assets at the time of signing the contract as a benchmark to piece together what a parent might have had in mind when approving that contract language. One interesting case on this very matter of “reasonableness” of tuition is Linda Sue Long Hathaway (Branstetter) versus Glenn Jefferies Hathaway, decided by the Tennessee Court of Appeals in 2002 (No. E2002-00659-COA-R3-CV). The parents’ contract included the sentence, “The husband shall pay all customary and reasonable tuition expenses for the parties’ minor children in obtaining a bachelor’s degree or its equivalent.” The question before the court was whether a $19,800 tuition for the 1999-2000 academic year at the Maryland Institute of Art was “reasonable,” particularly in consideration of the father’s 19-year employment with the state for an annual income of $50,000. The Court of Appeals determined that “reasonable” college costs must be evaluated on the facts and circumstances of each, particular family, stating, “Courts must consider the practical results of their decisions, and not inflexibly apply a rule with no thought to the consequences.” With the father’s income and employment history in mind, the Court of Appeals fashioned guidelines for the trial court to recalculate the father’s required college tuition contribution, limited to 50% of in-state tuition at Tennessee or Florida state universities, whichever was higher (Tennessee being the father’s home state, Florida being the residential state of the mother and daughter). Finally, it is interesting to note that in families with sufficient financial resources, the Tennessee courts have extended their authority to include the ability to order a portion of child support during a child’s minority be set aside in a trust fund to be established to pay for future college expenses. This can be true even in the absence of a contract binding the child support paying parent to contribute to college expenses, as was found in the case of Helen Matlock Nash vs. Charles Mulle, 846 S.W.2d 803, (Tenn. 1993). For more information, see Section 529 Plans | Tennessee Parents Saving College Money Tax-Free.